Belmont Biology Department faculty members Drs. Darlene Panvini, Nick Ragsdale, Chris Barton, John Niedzwiecki and Jennifer Thomas, along with 20 biology, environmental science, biochemistry & molecular biology and neuroscience majors, recently attended the 77th Annual Meeting of the Association of Southeastern Biologists in Concord, North Carolina. 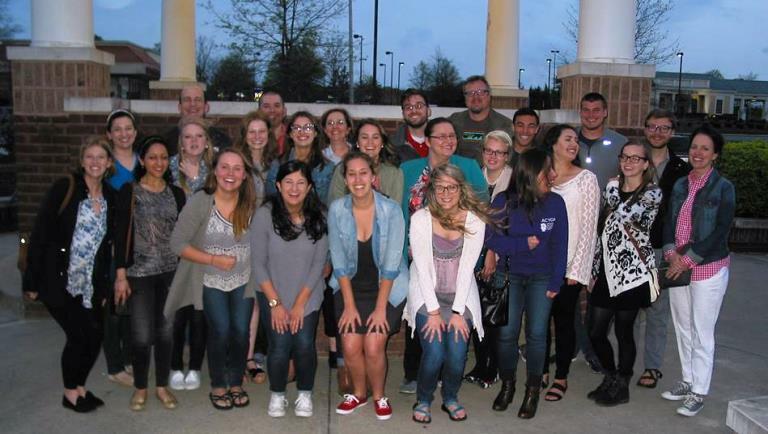 The Association of Southeastern Biologists (ASB) is the largest scientific professional organization in the southeast and include approximately 1,400 members from 280 institutions. The organizations promotes biology through research and holds an annual meeting where faculty and students present findings. Senior Lindsay Millward won first place in the Tri Beta District II oral presentation session and will go to the National Tri-Beta Convention in May. Belmont was also recognized for having the most abstracts submitted.